CBRE promoted Brady O’Donnell to vice chairman, the highest producer ranking at the firm. Part of the firm’s Capital Markets, Debt & Structured Finance, O’Donnell has been directly involved in originating, underwriting, structuring and closing more than 450 transactions over the course of his career, totaling over $7 billion in loan volume. Based in Denver, O’Donnell provides financing solutions for clients across the U.S. ranging from institutional real estate funds to local private capital investors. He is a member of the firm’s Institutional Properties Group and applies his network of lender relationships to source capital for projects spanning all property types. 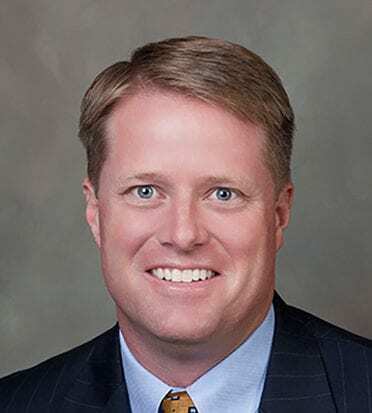 Some of O’Donnell’s notable transactions include arranging $112 million in acquisition financing for a 1 million-square-foot Boulder office portfolio, $86.5 million in refinance of the Keenan Apartment Portfolio, a six-property, 1,160-unit portfolio in Tennessee, the $46 million acquisition financing of Bowles Crossing, a retail center in Littleton, and the $51 million acquisition financing for 700 Broadway, a 424,769-sf office building in Denver’s Golden Triangle. Since joining the company in 2012, O’Donnell has consistently ranked among the firm’s top producers.